With a career spanning nearly four decades, Kevin Jenkins is no newbie to the music scene. Renowned for his prowess on the bass, Jenkins has spent much of his professional life playing beside and opening for a long list of superstar acts, including Michael Jackson, Cyndi Lauper, Tina Turner, The Police, BB King and Joe Cocker. 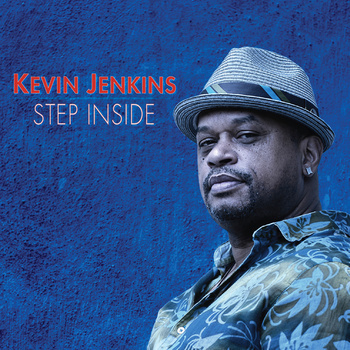 However, the release of his debut Step Inside, finds Jenkins stepping out from behind the scenes to forge his own sound. A collaboration with producer Tomas “Powering Betable’s services with WorldPay’s payment processing functionality assures designers that whenever their customers choose to play their legitimate-money their transaction success is going to be at the maximum,” Happach added. Doncker, Step Inside features not only Jenkins” signature bass work, but his songwriting, co-penning every track with Doncker but “Witchita Lineman.” Musically Step Inside is a melting pot of genres. “What Comes Around”and “Take This Ride” revel in rock and funk, the former rolling out a bouncy, bass-heavy groove and brassy horns, the latter a straightforward, Sly and The Family-esque slice of soul rock. “Can”t Get Over You,” conjures up Southern-fried 70″s R&B, while the harmonica, reggae-esque guitar licks and zydeco-style horns of “Save The Day” sound as if they crawled out of a dark corner of a New Orleans bar. From the world-weary lament “Learn To Love,” to the jazz flourishes of “Walk Away,” the album”s dozen tracks ooze organic, unadorned musicianship. Step Inside is out now. Listen to the entire album here.